First, rinse the swordfish steaks and pat them dry with a paper towel. Cut them into cubes if they are going to be grilled as a kebab, but otherwise leave the skin on while cooking to help keep the meat moist. Refrigerate 2-3 hours, turning several times. Preheat grill; brush the salad oil. Place fish on grill, cook approximately 10 minutes per inch, turning halfway through cooking time. Remove from grill, brush with melted butter, garnish with lemon wedges. 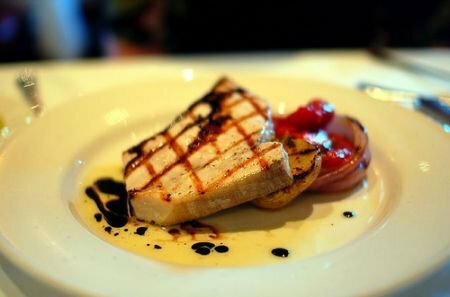 Grilling is the most common way of preparing swordfish. Swordfish can also be poached, baked or fried. This entry was posted in Fish, Fish, Recipes, Second Course and tagged Fish, food, Hut, Recipes, traditional maltese recipes. Bookmark the permalink.